You may think the sights and sounds of the great Grand Prix cars of the past have been consigned to history – but nothing could be further from the truth. Today, dedicated enthusiasts maintain the most important F1 machines and turn at out legendary circuits to let them return to action. 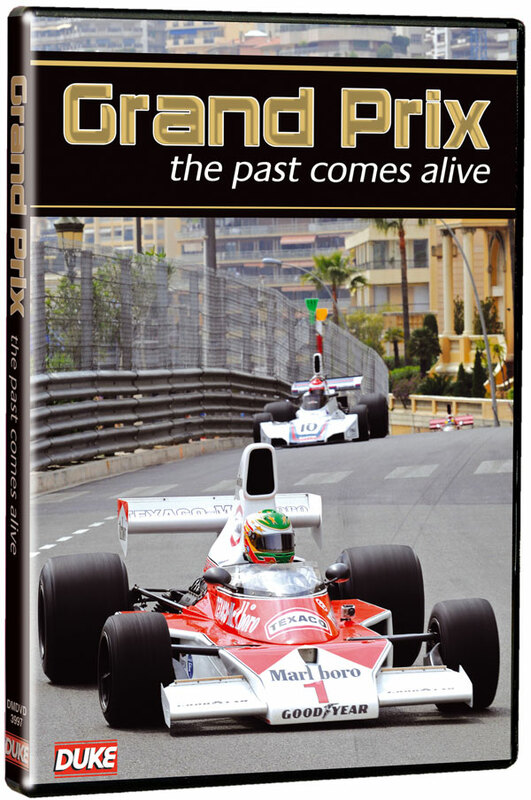 This magnificent DVD truly lets the past come alive as our cameras travel to Historic Grand Prix Cars Association and FIA Historic Formula One Championship events in 2010 to watch these icons back where they belong. They may be some of the most valuable machines in the world, but these events are no parade laps, this is real racing, with real cars on real circuits. We travel to Monaco, Silverstone, Monza and Dijon to watch race and championship-winning cars from BRM, Ferrari, Maserati, Lotus, McLaren, Williams and more once again going wheel-to-wheel. We hear from the enthusiasts who keep these machines alive – including Clive Chapman, son of the great Colin and the man behind Classic Team Lotus. There’s also a chance to see some of the great museum collections, including Galleria Ferrari, and archive footage to show what these mighty machines looked like in their heyday. But it is the modern footage of these classic machines returning to the track which truly allow Formula One’s past to come alive.